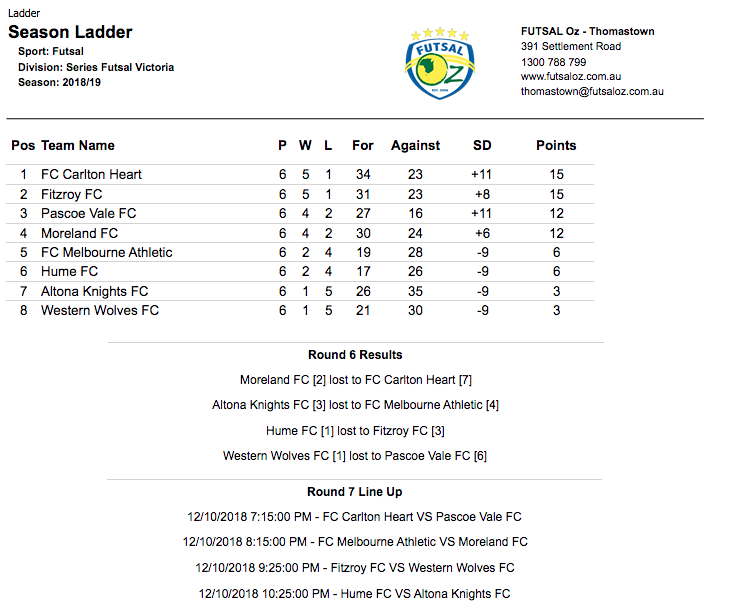 Our first clash of round six saw top of the table Moreland face third placed Carlton Heart, though the sides were only separated on goal difference in what was built as the clash of the night. After an intense start to the game, Carlton drew first blood as Josh Pulvirenti found the net to give the Heart the lead. A mistake soon after from Moreland was punished, this time by Rico Hauser who rounded up Fetih Goren to score and have the Heart two in front. Moreland pulled one back as Adam Cooper rocketed one home on the turn, but Carlton looked in the mood and went four-one ahead as Sinan Gluhak found the net as well as a second to Hauser having Moreland in trouble. Jordan Constantinidis pulled a goal back before the break to give Moreland a chance at overturning the deficit. The second half was all Carlton, as Moreland couldn’t really muster many good chances on goal, the Heart added a further three goals and did not concede, with Chaaban Rajab capping a good game by finding the net as well as youngster Ali Al Sharani climbing off the bench to get a late goal which was coupled with an own goal to Christos Apostolakis as Moreland were humbled by the Champions who leapfrog their opponents on the table. Next up saw the two bottom sides in the league locks horns as the Altona Knights took on Melbourne Athletic. With the result having a huge bearing on the relegation battle a win for both was crucial. Melbourne struck first thanks to a long range effort from Simone Pelletti which found its way in through the legs of Frano Saric. Altona hit back courtesy of a thunderbolt from the returning Nikola Jurcic to restore parody, before Jurcic struck another rocket which put the Knights ahead. A time out was called by Melbourne and it worked a treat as directly after it Brian Lim struck from a set piece to have the scores level at two at the half time break. Early in the second half Melbourne took the lead after a counter attack lead by Daniel Araujio was finished off by Lim as the Bravecats looked to hang on for an important three points. Altona would hit back through Jayden Merceica after he won the ball deep in his own half and countered before finishing to level the game at three and send it to penalties. In the shootout Melbourne would prevail as George Paschalidis saved both attempts by the Knights while Simone Pelletti was the only scorer for the Bravecats but it would be enough as Melbourne took home a very valuable three points. Next up saw an old rivalry renewed as Hume faced Fitzroy. Early in the season and both sides were desperate for the points it was always going to be a tight contest. The first half was exactly that as neither side managed to find the back of the net with Hume creating a few more chances than Fitzroy, only to be denied by the brilliant Ryan Timmins between the sticks for Fitzroy keeping the scores level at zero. 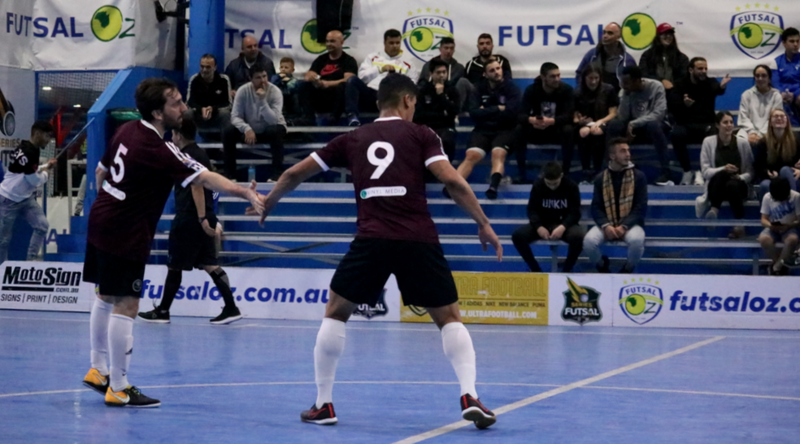 It took until the final eight minutes for the deadlock to be broken as Jose Filho lashed home an effort from a side ball to give Fitzroy the lead. Soon after Fitzroy were given a ten meter penalty which was taken on the edge of the area, Fernando De Moraes stepped up and converted it to all but seal the points for Fitzroy. A time out for Hume rejuvenated them and they pulled a goal back from a corner which Resit Culculoglu turned home to set up a grand stand finish. When Timmins was forced off in the final two minutes, Hume would have given themselves every chances of an equaliser with a fresh keeper coming off the Fitzroy bench. 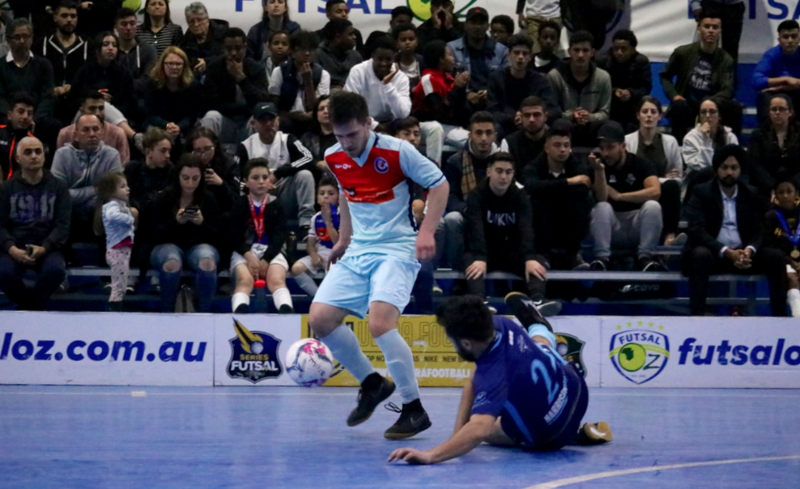 However it was all over when Filho snatched the ball and finished through the legs of Enes Ozkoca to seal another vital three points for Fitzroy as they sit in second place. 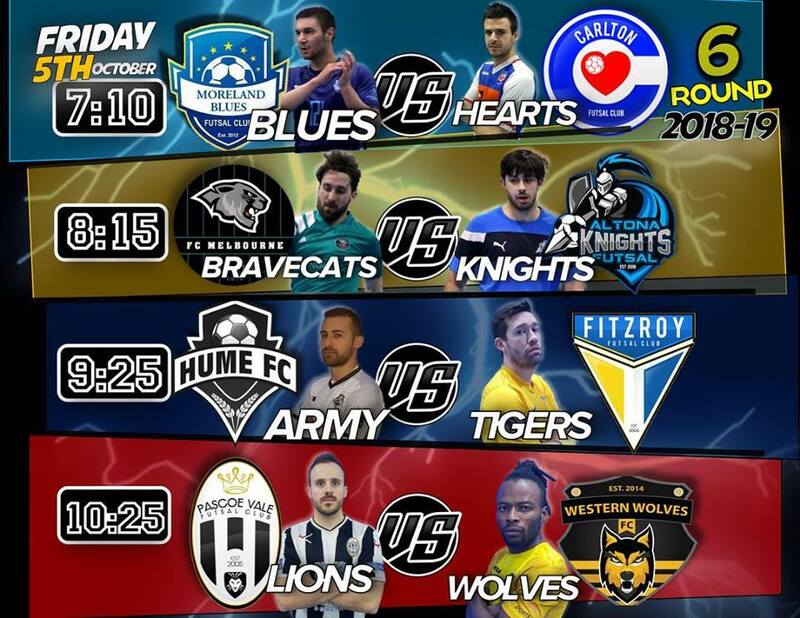 The final game of the evening saw a struggling Western Wolves welcome back some key players to face Pascoe Vale in what has given us some thrilling contests in recent times. 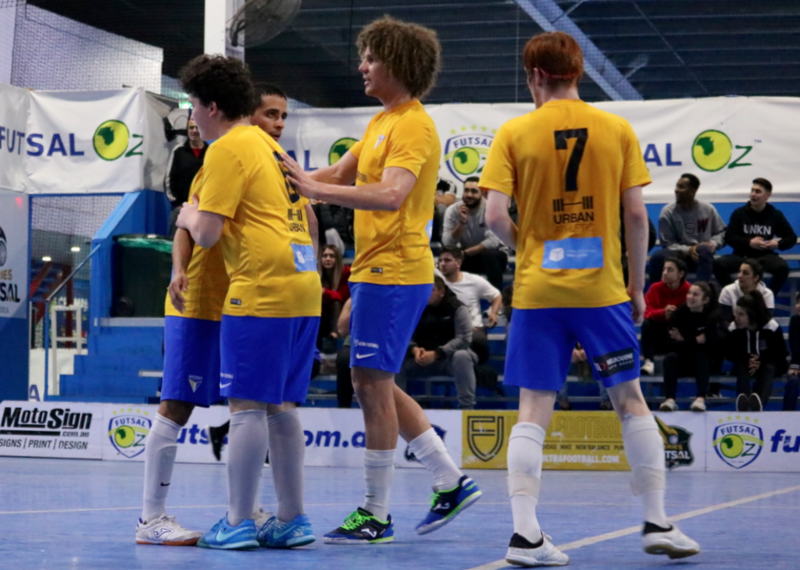 Pascoe came roaring out of the blocks in this one and took the lead within the opening minutes as Henrique Fernandes Pimenta struck a thunderbolt off the crossbar and in to open the scoring. 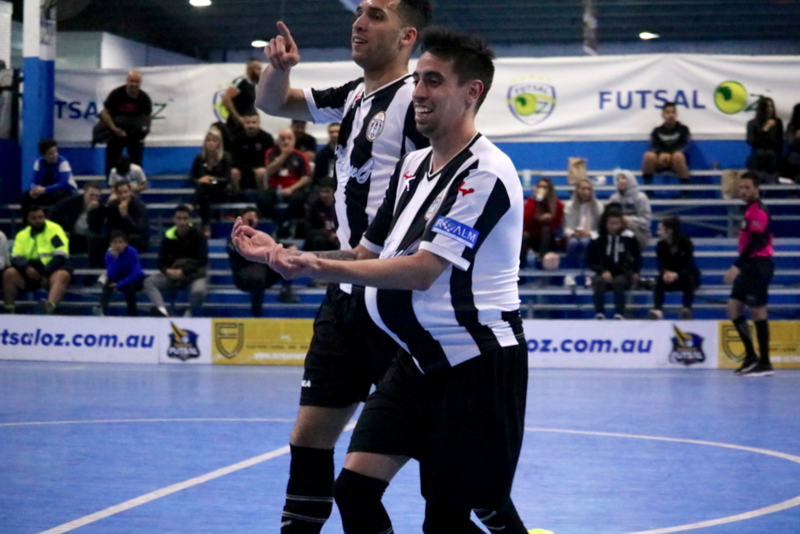 Shortly after it was two as Andre Caro picked out the top corner to double the advantage, before Brenno Polatti found the net to have Pascoe Vale flying, leading 3-0 at the half time break. The Wolves stemmed the flow of goals but a turnover cost them another in the second half as Joao Da Silva found Andre Caro who finished at the back post for a 4-0 lead. The Wolves did pull a goal back through a stunning strike from Christwish Mutsigna to have them back in with a shot of a comeback, though it was put to bed immediately after as Alison Lima Da Rossa finished from the edge of the area to all but seal the points. Another late tap in for Caro made it 6-1 as Pascoe recorded a big victory over the Wolves to push into third place.